It was couple of years back that businesses realized – company’s website is almost compulsory to maximum the reach of their company or a brand. Now, Facebook Fanpage is becoming popular these days and everyone is creating Facebook fanpage to increase the presence in the online world. As we all know that Facebook is growing rapidly and it’s becoming a essential destination for businesses and business professional to promote their company via fanpage. This page is designed to keep one thing in mind, ie., to support company’s marketing objectives. Your fan page should be engaging enough to start a conversation about your company or products via Wall posts or comments, generating leads and convert it into sales. To create a Facebook fanpage like this, you have to use applications that is designed in such a way that allows users to custom elements, promote your website or company blog, conferencing and much more. In this article, I am gathering Facebook apps that are ideal for business fanpage. With these apps, you can do conference calls, create a virtual office, promote your company blog, take care of your finance, create documents, share company presentations or company’s podcasts and much more. So, have a look on SaveDelete’s compilation of 20 essential Facebook apps for creating successful business fanpage. 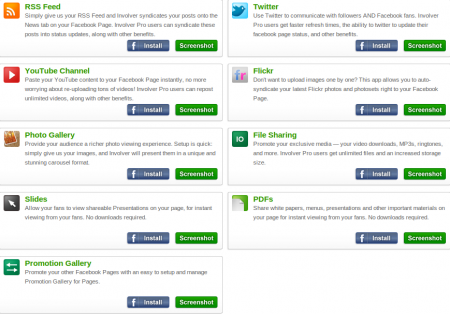 These apps are very useful to run your business from your Facebook profile. If you know some other apps which you feel that would be useful for business purpose, feel free to share with us in the comments section below. 1) Networked Blogs : Promote your blog on Facebook and to discover new blogs. NetworkedBlogs is a community of bloggers and blog lovers. Join the fun, add your blog, and connect with others who read and write about subjects you like. 2) Static FBML : Add advanced functionality to your Page using the Facebook Static FBML application. 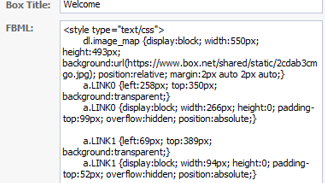 This application will add a box to your Page in which you can render HTML or FBML (Facebook Markup Language) for enhanced Page customization. 3) Promotions : Promotions for Fan Pages enables companies & agencies to easily create and launch interactive promotions & marketing campaigns on Facebook Fan Pages within minutes. 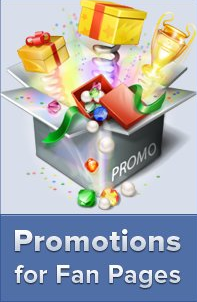 Promotion formats include: contests, sweepstakes, coupons & giveaways etc. 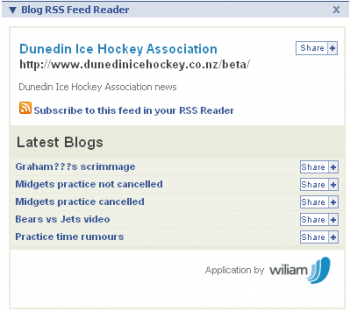 4) Blog RSS Feed Reader : Blog RSS Feed Reader allows you to add a personal blog, corporate blog RSS Feed or any other RSS feed to your Facebook profile for your friends to read. It’s a great way to drive traffic to your blog or website. 5) Extended Info : With Facebook, your profile comes with fields such as Activities, Interests, and Favorite Music, but Extended Info allows you to add extra fields to your profile, such as Currently Reading, Favorite Foods, or anything you can think of. 6) Pagemodo : Online facebook marketing tools that helps any company to present themselves and their products on their facebook page, without any technical or graphic skills needed! To see full review of Pagemodo, please click here. 7) Poll : This is the premier polling application on Facebook. Create polls for your Facebook pages and Profile pages. Ask your friends or fans questions you want or create contests for your fans thanks to Polls! Very simple and easy to use. You can also add pictures, videos or links into your polls. 8 ) My Business Blinkweb : With the My BlinkWeb widget, you can show off your website to all of your friends, as well as all of their friends. When your friends install the My BlinkWeb widget, YOUR website will be shown on THEIR profile. That means MORE visitors for you! 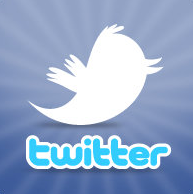 9) Twitter : Twitter is a rich source of instant information. Stay updated. Keep others updated. Use the Twitter for Facebook app to find and follow your Facebook friends who tweet, post your tweets to your Facebook profile or Facebook page and encourage your Facebook friends to follow you on Twitter. 10) Flash Player : This application will add a box to your Page in which you can upload your own Flash Files to achieve advanced customization. 11) Involver Application Suite : Involver is a online company which involves in some great Facebook apps for business purpose. They provide free and paid apps. You will Twitter, Picasa, Youtube for pages, promotion apps and much more. 12) Professional Profile – Business Networking : Professional Profile leverages your Facebook friends into business connections by consolidating professional information into one place. 13) Links : With Facebook Posted Items, you can share anything on the internet by posting it to your profile. You can post your websites, blogs, videos, and songs, as well as content on Facebook, like profiles, photos, notes, groups, and events. The Posted Items application page displays content your friend. 14) Calliflower – Free Conference Calls : Calliflower makes it easy for people to plan, participate and follow-up on engaging and meaningful conference calls that bridge business and social networks. It’s free. That’s right, no monthly fee or minutes. 15) My LinkedIn Profile : Display your LinkedIn User profile or Company profile on Facebook. 16) Podcast Player : Podcast player is an easy and powerful way to share yours or company audio and video Podcast in Facebook. One click away, your friends can subscribe your Podcast to iTunes and download your audios and videos to their iPod. 17) SlideShare : SlideShare is the world’s largest community for sharing presentations. You can share presentations & documents with your Facebook network, upload portfolios, resume, conference talks, PDFs, college lessons etc. 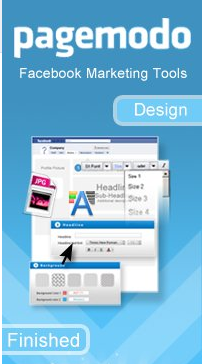 All formats are supported: ppt, pps, pptx, odp, pdf, doc, docx, odt, Keynote, iWork pages. Embed YouTube videos in presentations, add audio to make a webinar. 18) JD Supra Docs : JD Supra Docs enables lawyers & law firms to include their documents & publications on Facebook. Lawyers, showcase real expertise to your Facebook network: stream articles, alerts, newsletters, briefs, filings, and other publications for your connections to see. 19) Memorable Web Addresses : This application creates a short, easy to remember personal web address to take people directly to your facebook profile, page or group, so you can share the link with other people, post it on forums, show it on your myspace page or print it on your business cards. 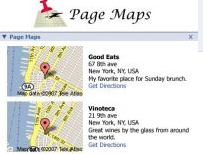 20) Page Maps : Add a custom map to your business page or personal profile. Show your business locations or favorite spots around town. It displays a mini map requiring no additional clicks to see, with links to a larger map or directions.